I just wanted to drill a hole. To hang a picture. I had lent my rechargeable drill to my daughter-in-law, so that she could settle into her new home. But there was a picture I wanted to hang. So, while at Lowe’s, I went back to the tool section and looked around for a brace and bit. 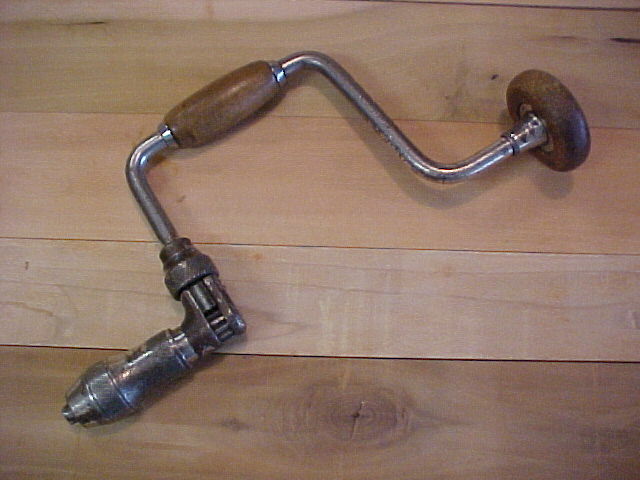 For every boomer who grew up and took wood shop in junior high, a brace and bit was standard equipment. You’d put in the drill bit and so that you didn’t drill a hole in your hand or head, you’d hand turn it to drill. Pretty simple. It’s a tool that had been around forever. I thought I could just buy one and have it on hand in case I ever needed to drill a hole during a power outage. Huh. So, my picture remains unhung and another part of my existence has been determined to be unnecessary. No more brace and bit. Which means I’ll be combing through every garage sale and second-hand store until I find one. Sure it’s the hard way. But it’s the “for-sure” way that some of us knew. It was one of those things that you just expected would always be there. And now it’s not. But if I find one, I’ll help preserve a bit of my past. And, finally hang that picture.